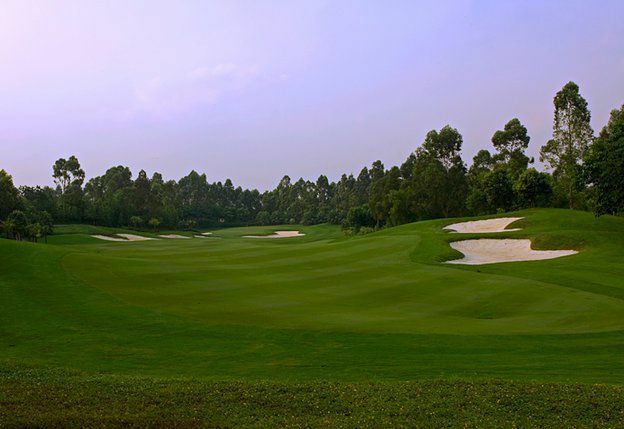 The Ozaki Course takes advantage of dramatic terrain by playing largely through single corridor valleys offering elevated tees and fairways surrounded by native slopes. 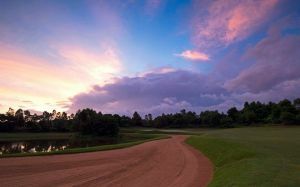 Like the Faldo Course, the intent was to leave as much native vegetation as possible to create a mature look when the course opened. 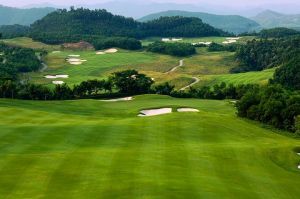 Large areas of turf and wide fairways, punctuated by strategic bunkering, contrast with tall slopes of native plants and trees. 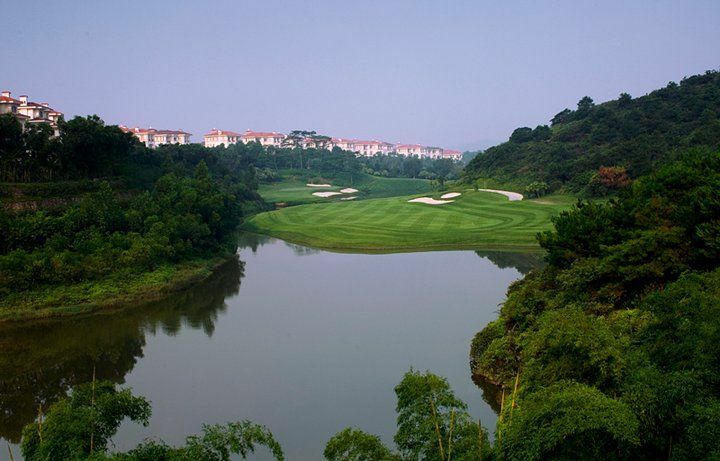 Dramatic long views into valley corridors, often including serene lakes, give the golfer a feeling of being surrounded by nature. 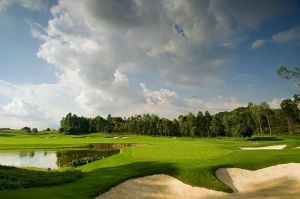 Long and demanding from the back, yet very playable from the forward tees, the Ozaki Canyon Course tests all levels of play! 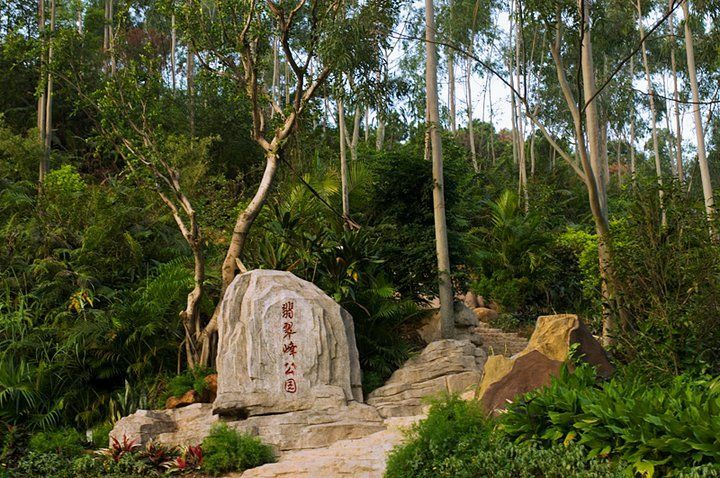 The Course begins with a long par-four and soon begins to offer varieties of dramatic holes carved through vegetated hillside. 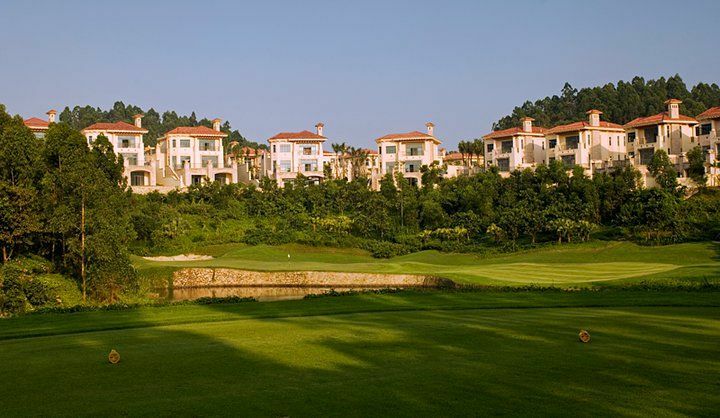 The course ends with the tee shot on 18 lined up at the impressive hotel/clubhouse framed between two mountain peaks. 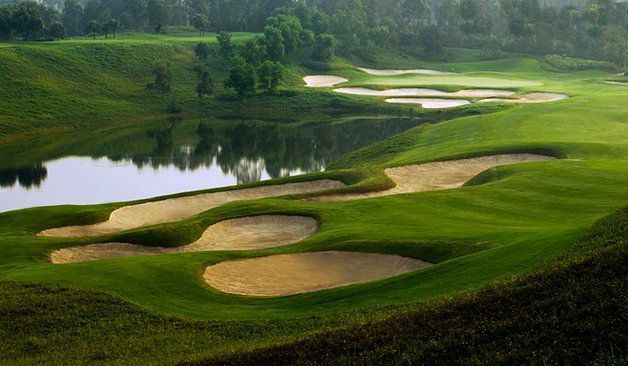 The Par 5 ends at a double green (shared with #9) set above a lake and in front of a backdrop of a towering exposed rock face carved out of the hillside. A dramatic finish to a dramatic course! 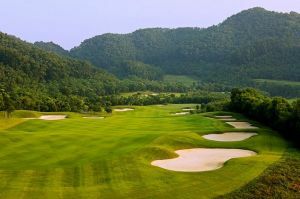 Mission Hills - Ozaki Course is not yet in our pool of Golf Courses for orders.